First impressions have a large influence on someone’s decision to purchase from a business or not. In many cases, a phone call will be the first contact an individual has with your company. The way this call goes is therefore crucial for relationship building and making a sale. The telephone etiquette of your staff is imperative. Even though we are living in a digital age, many people enjoy the human factor of being able to speak to someone over the phone. It is surprising and quite frankly, shocking how many businesses will just answer the phone with a ‘yeah’ or ‘hello’. I have no doubt you have had calls similar to this as well. This poor telephone etiquette paints an unprofessional picture of the company and can discourage the caller from purchasing from the business. In this post I will give you some tips for effective and high quality telephone etiquette in the workplace. As Impact Marketing have an in-house call centre, we give our staff on-going training to ensure they are always professional when on the phone to prospects. Not only will these tips help you for incoming calls, but they will also help your callers achieve higher results if you undertake any telemarketing campaigns. When you answer any incoming call, you should always state the company name. As stated above, there are still people who will just pick up the phone and grunt a ‘hello’ at you. What image would this paint of your company in the caller’s head? They will think you are unprofessional and it will discourage them from the very start of the call. Furthermore, they may even think they have misdialed and called a residential address. You are representing your company every time you answer an incoming call. Therefore, you should always be professional and stating the company name will help prevent any possible confusion on the other end of the phone. Furthermore, you can state your name and ask ‘how can I help?’. This will get straight to the point of the call and means a faster service for who called in. The way you come across over the phone is crucial. Regardless of who is calling in, be polite and professional. An individual needs to be confident in your business in order to purchase from you. If the person answering your phones comes across as rude, or short with the caller, it is unlikely they will purchase. Have you ever been in a position where the person on the other end of the phone seems to be doing everything in their power to be as unhelpful as possible? It paints a poor image of the company and makes you want to end the call as fast as possible. On the other hand, a well trained phone operative will not be monotonic and will speak in a way that prompts responses and further engagement. This also helps build rapport with the individual as you do not come across as a robot. When someone calls in to your business, they have taken time out of their day to do so. Your focus should therefore be on them when you are speaking to them on the phone. If someone walks into the same room as you, or an email suddenly lands in your inbox, these can wait until the call has concluded. If you allow yourself to be distracted from the call by a colleague or email, this reflects badly on you. The caller will not see themselves as important and will be discouraged from taking it any further. Above all else, you need to listen to what the caller is saying. If they have questions, comments or queries, let them speak and wait to respond. Never interrupt when they are talking and wait until they are finished. If they ask something that you do not know the answer to, try and find out as soon as possible. However, if it is taking too long, ask the caller if you can call them back once you have found out. There is no value in keeping the person on hold for a long time as this is likely to aggravate them. At the end of the call, thank them for calling in and ask if there is anything else you can do to help. This will end the call on a positive note and further helps to build rapport. Good telephone etiquette is essential for building a relationship and rapport with your prospects and customers. Being professional, helpful and patient will give the caller a pleasant experience when calling in and will end the call with them being satisfied. This also makes a sale more likely. As Impact Marketing have an in-house call centre, we regularly train our staff to ensure they are professional in every aspect of the call. We understand the impact that telephone etiquette has on a phone call, both incoming and outgoing. This helps us provide high quality leads and/or appointments for our clients. What experiences have you had of poor telephone etiquette when calling someone? Let us know and share your experiences in the comments below. 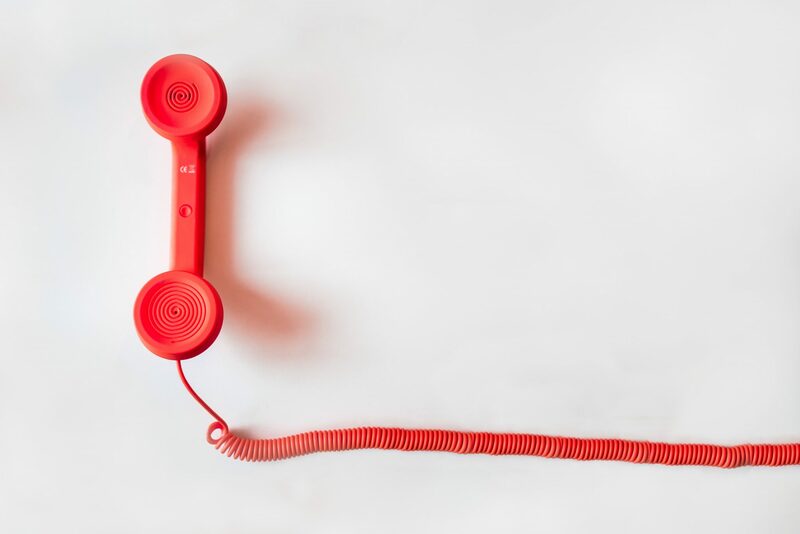 If you would like anymore information about our telemarketing services, or would like some advice on how you can improve your caller’s success, get in touch today and a member of the team will be happy to assist further.